For a long time, maybe even since the stormy night of her eighth birthday and the frenzied palmetto beetle, she’d known that being a victim was often a choice people made. As a child, she hadn’t been able to put this insight into words, and she hadn’t known why so many people chose suffering; when older, she had recognized their self-hatred, masochism, weakness. Not all or even most suffering is at the hands of fate; it befalls us at our invitation. She’d always chosen not to be victimized, to resist and fight back, to hold on to hope and dignity and faith in the future. But victimhood was seductive, a release from responsibility and caring: Fear would be transmuted into weary resignation; failure would no longer generate guilt but, instead, would spawn a comforting self-pity. 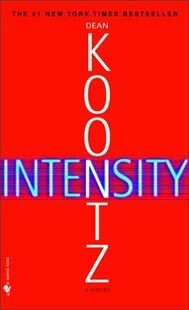 – Intensity by Dean Koontz. This entry was posted in Quotes and tagged being a victim, Dean Koontz, Horror Fiction, Intensity, Quotes, victimhood on June 25, 2015 by The Mithril Guardian.